Of course the universe was not created in a day. You’ll have to work your up from a simple microorganism to create animals, tools, storms and even build armies before you have what it takes to build the universe! But beware, the power of creation may have unintended consequences, inventing the wheel might just trigger a zombie plague… Don’t worry, you are not alone on this cosmic journey! Every time you successfully create a new item you’ll be rewarded with the wit and wisdom of some of the greatest philosophers and comedians of all time. Unleash your inner god with Doodle God! 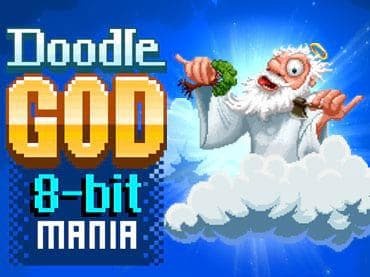 If you have questions about Doodle God: 8-bit Mania game, please contact us using this form.